Welcome to the apocalypse. 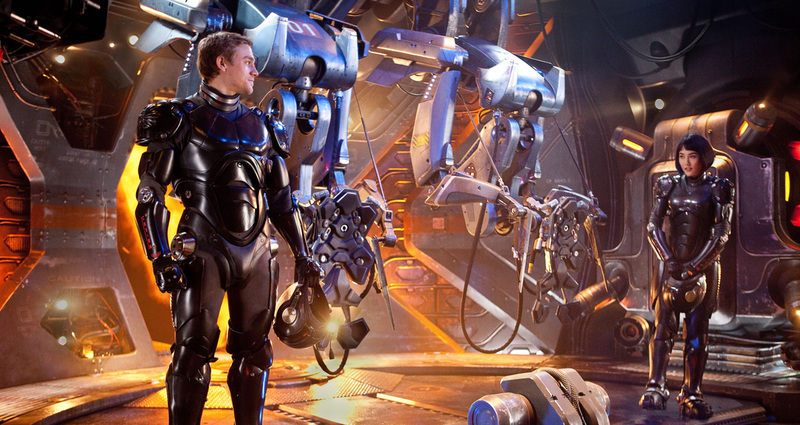 Large, glossy, metallic and often energetic, Guillermo del Toro’s Pacific Rim is certainty a cinematic experience. Spectacle-based and with a touch of a child’s imagination, Pacific Rim recollects the Kaiju genre as a monstrous, loud and exciting experience. Beyond the glossy textures, underneath the loud and bellowing beats and roars, del Toro’s creative flare seems a little dimmer with his latest creation. del Toro’s reputation precedes him; an artist by some standards with a very fine attention to detail, his portfolio is decorated with treasures like Pan’s Labyrinth (2006) and Hellboy (2004). But that fine intimacy and enthusiasm is demolished in favour of magnitude and spectacle. Deep beneath the ocean a rift acts as a gateway between dimensions. The Jaeger Project, a series of commissioned humanoid machines operated by the melded memories of two co-pilots are mankind’s last hope. The Kaiju, large ferocious beasts based on the image of recognisable creatures such as the grotesque and towering deformed shark-like beast, ravage cities, diminish the population and threaten Earth’s very existence. 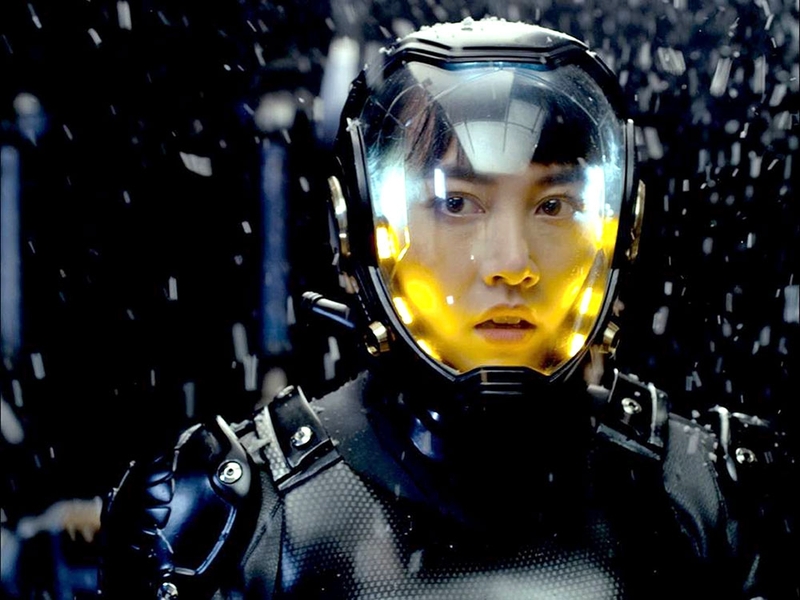 The tale follows the hardened hero, Raleigh Becket (Charlie Hunnam) and his haunted-by-her-childhood co-pilot, Mako Mori (Rinko Kikuchi) as they meld memories and fight the Kaiju. The spectacle is extravagant and the scale is magnificent. You can almost feel the movements of the machines and the crashing of the waves. However, the battles are loud, predicable and clichéd and with each new fight you cannot help but lapse into a feeling of déjà vu. The monstrous brawls feel similar and not just to one another but to many films of its kind. In an apocalyptic scene that recalls Cloverfield (2008), Autobots brawl Godzilla’s cousins with self-confident American patriotism and packed with enough Independence Day (1996) speeches to fill the White House. Artificial and excessive, the spectacle overshadows the characters, the story and the rare moments of intricate detail. 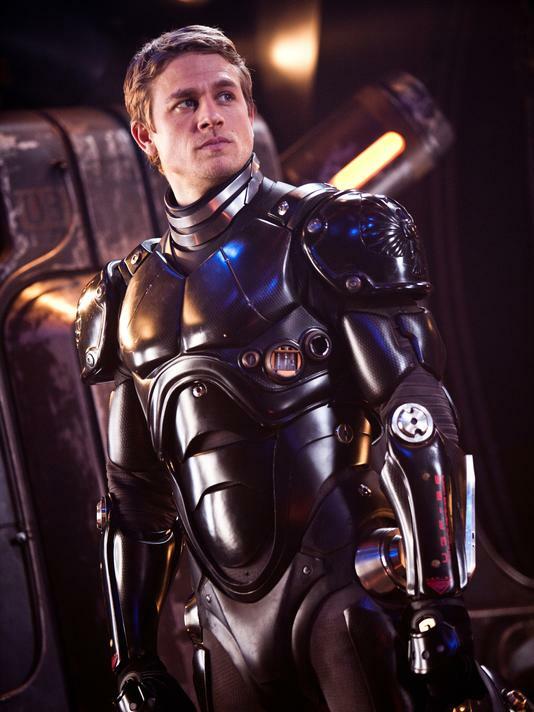 Pacific Rim substitutes a hefty portion of its runtime to the sleekness of metallic textures; it privileges exteriors and avoids the interior. The film tries to suggest human complexity through appeals to sympathy, which is a rare and respectable feat for a monster film, but the two-dimensional characters are examples of its failure to do so successfully. The characters are largely identifiable by a quirky or bold appearance, instead of having a developed personality. Hannibal Chau (Ron Perlman), for example, is dressed in garish decorations with little beneath his tinted spectacles, red suit and gold-tipped shoes. The main characters are a little less extravagant but very much predictable and typical. Becket is the hardened hero with scars and carries the burden of loss and is often forgotten amongst all the clamour and commotion. The film inspires little sympathy for these hollow characters. The moments in the film that are suggestive of sympathy and compassion are illustrated by watery eyes or a cheap soundtrack and offer a poor attempt to capture the essence of human nature. The characters are drafted around a single defining moment and have little history; Becket is only haunted by the loss of his brother and Mako by the torment of a Kaiju as a child. These single moments are not enough to compensate for real characters with depth, complexities and humanity. The characters are artificial and lacking that jagged edge of human nature. 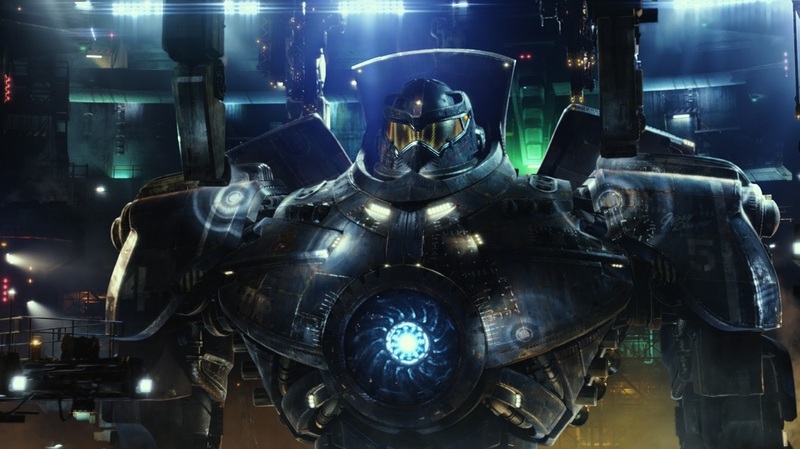 Pacific Rim is a celebration of a child’s imagination with its fantastical world adorned with magnificence as well as an aged and forgotten genre that loses itself to extravagance. While the flick features some respectable traits, in the end it resorts to delivering a cheap injection of adrenaline for thrills. Sadly, del Toro makes a promise he cannot keep; the spectacle eclipses the compassion, detail and intricacies of his piece. This blockbuster abides by, but is ultimately compromised by, one rule: size matters.